Can you tell me what year the first picture was taken? I live near this pub and I’d be interested to hear how long it has stood on that site. The name and architecture imply the late 20s / early 30s. Good Companions is the title of the biggest selling novel of that period (by JB Priestley). 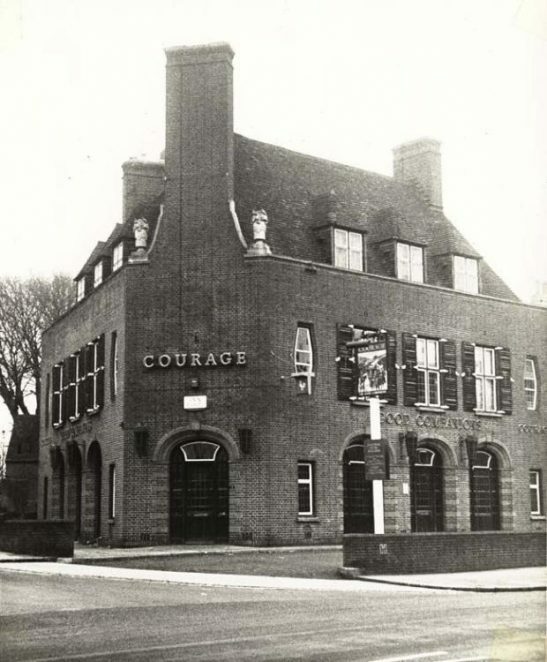 This pub opened on 3 September 1939, the day Britain declared war on Germany. My Dad had the Dials Vegetable Market in Prestonville Road, (later owned by Harry Barton). 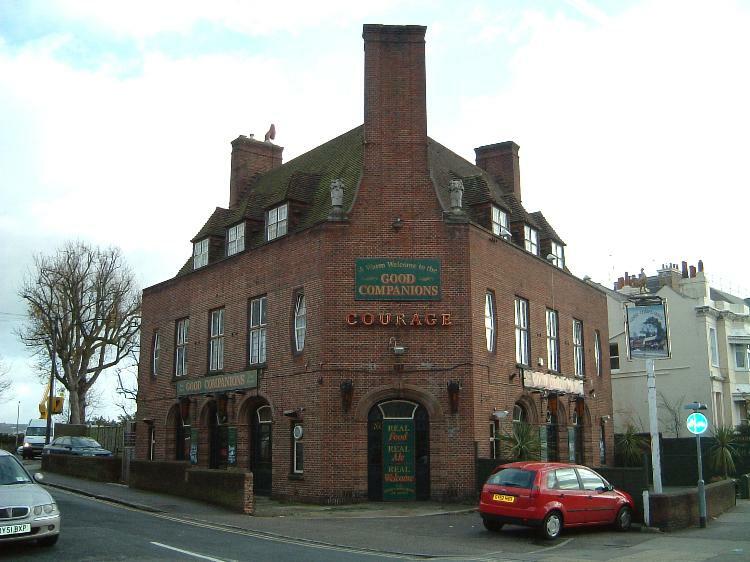 He knew Harry Ford, the landlord of the Good Companions. Harry Ford was on Brighton Council and was famous for improving the lot of policemen. All policemen wore uncomfortable jackets that buttoned up to the neck. Harry proposed that Brighton Police should wear open collared jackets and this was adopted first in Brighton and then copied all over the country. To the rear of the pub, on the corner of Prestonville Road, was a workshop with a very large tree growing through the roof. During the 50’s when I was walking to school, there was a printing company doing silk screen printing. Is this workshop still there or did the storm of ’87 bring down the tree and the workshop? My mother’s mother was landlady at Good Companions and I have many childhood memories in the caravan site run by Mrs Ford’s son Malcolm, brother of my mother after whom I am named. Any info, even war stories of pilots dancing around the upper edges of the pub, I am willing to give as told to a disbelieving child. Malcolm Dodd, son of Joan Ford, daughter of Mrs Ford – landlady pre and post law. Looking at the bottom photo it looks as if the tree is still there but the workshop has gone. I remember walking by this as a child as I grew up in York Villas.